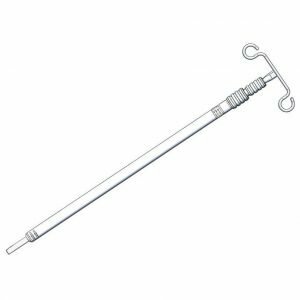 This optional extended height telescoping IV rod extends from 28″ to 62″ in height and is compatible with all TMM Series Stretcher-Chairs. Our optional knee crutches are compatible with all TMM Series Stretcher Chairs. Our optional Leg Positioning System (Pair of positioners with mounting clamps) is compatible with all TMM Series Stretcher Chairs. Optional oxygen tank holder is designed to accommodate both ‘D’ and ‘E’ size cylinders. 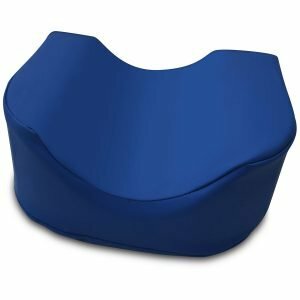 It has a 4.6″ diameter and can be mounted on all non-X TMM Stretcher-Chairs. Optional oxygen tank holder is designed to accommodate both ‘D’ and ‘E’ size cylinders and can be mounted on all TMM-X Series Stretcher-Chairs. For added protection, a higher rated CAL-TB 129 flammability sleeve upgrade is available for all TMM Series Stretcher-Chair cushions. This is a special white fabric that significantly reduces flammability risk. It encases the cushion set beneath your chosen Sure-Chek or Custom Vinyl cushions. 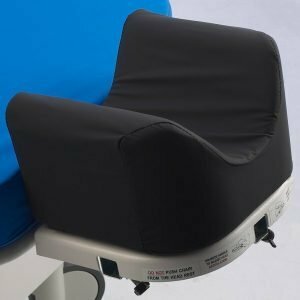 This optional cushion for TMM3 Series Stretcher-Chairs provides 2.75″ of additional thickness behind the patient’s knees and is designed to slightly tilt the seated patient more comfortably against the back of the chair. In reclined or stretcher position it allows for a natural bend at the knee. Available in Sure-Chek® or custom vinyl. 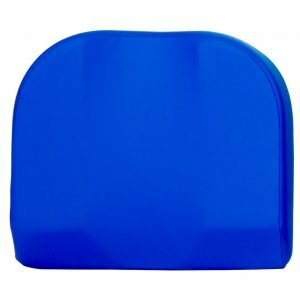 Cushioned footrest extension pad for TMM Series Stretcher-Chairs equipped with the auto-extending foot rest. Available in Sure-Chek® or custom vinyl. This optional accessory features a metal bracket used to hold a paper roll that covers the exam surface. Easy lift clip allows quick replacement of paper rolls. Fits all TMM4 Series Stretcher-Chairs. Optional 1″ patient pillow mounts to the TMM5 Stretcher-Chair’s articulating headpiece with heavy-duty Velcro. Optional deep dish head pad mounts to the TMM5 Stretcher-Chair’s articulating headpiece with heavy-duty Velcro and allows the patients head to be immobilized during procedures.